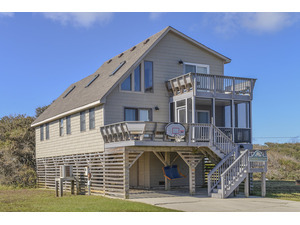 "Atlantic Escape" is a comfortable & well-equipped vacation home that has a great location affording quick & easy access to the beach in Kitty Hawk (approximately 450 to beach access). 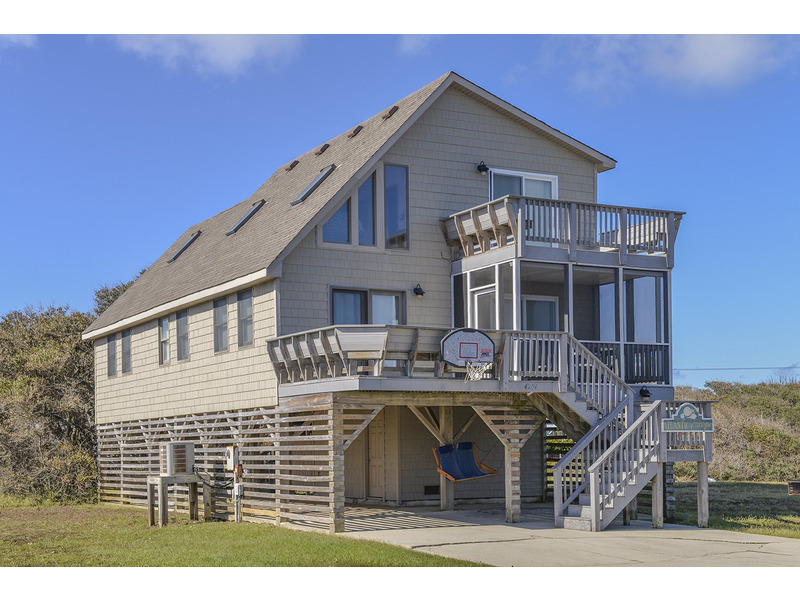 "Atlantic Escape" is a comfortable & well-equipped vacation home that has a great location affording quick & easy access to the beach in Kitty Hawk (approximately 450 to beach access). Nicely decorated & a recently updated kitchen that features stainless steel appliances & granite counter tops. There is plenty of space for you & your family to relax, a furnished screened porch & quiet location that is convenient to area restaurants & shopping. This is a nice family vacation beach home. Like to Golf? Each Rental Guest receives Kilmarlic Golf K Club Privileges. Ground Level: Parking for 4 Cars, Laundry Area, Steps to Mid Level Entry, Fish Cleaning Table, & Enclosed Outside Shower. Mid Level: Living/Dining Area, Updated Kitchen w/Stainless Steel Appliances & Granite Counter Tops, 2 Bedrooms (Master Suite w/Queen & Full Bath, 1 w/Duo Bunk), Full Hall Bath, Screen Porch w/Picnic Table, & Sun Deck w/Built-In Seating. 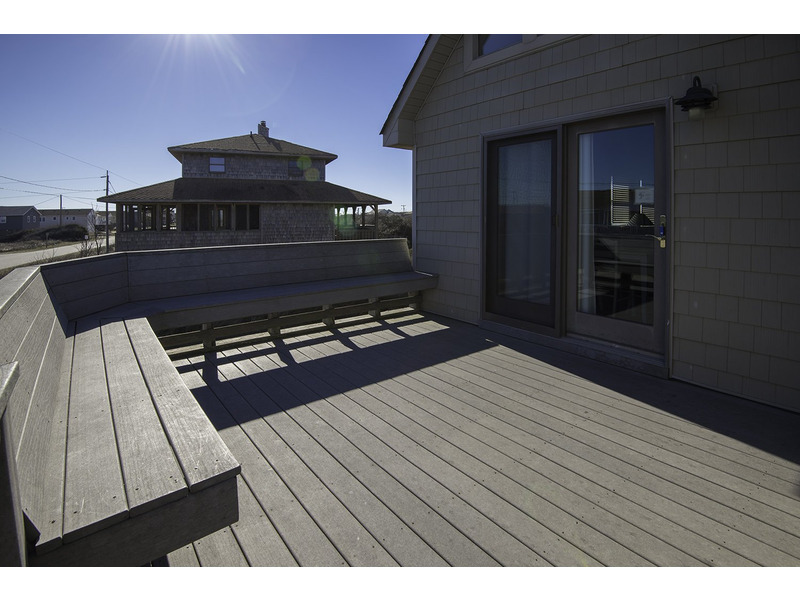 Top Level: 3 Bedrooms (1 w/Queen, 1 w/Queen, 1 w/Duo Bunk, Shared Full Bath), Sun Deck w/Built-In Seating, & Ocean Views, & Loft w/Sitting Area. Features include: C/AC & Heat, Washer/Dryer, Dishwasher, Microwave, DirecTV, TVs, DVD, Wireless Internet, & Beach Chairs Provided. No Pets. This is a Non-Smoking Unit. To send a reservation request to the manager of "Atlantic Escape (#171)", complete the following form. When you click the "Send Request" button an e-mail will be sent to the manager and a copy will be emailed to you, along with details on how to complete your reservation. I saw Atlantic Escape (#171) advertised on www.RentABeach.com and I am interested in renting. Clicking 'Send Request' will immediately forward this information to the manager of Atlantic Escape (#171), which is Joe Lamb Jr. & Associates. An email copy of your request will be sent from support@rentabeach.com to the address you provided above.